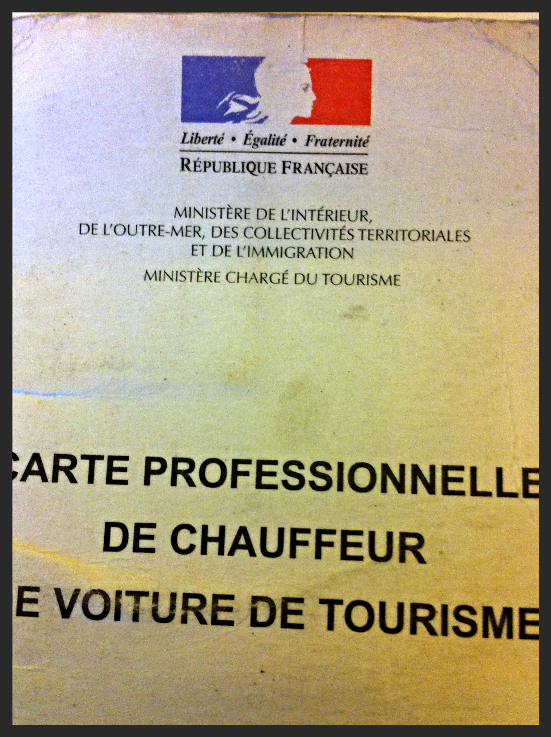 Bienvenue to your gentle guide to Paris. 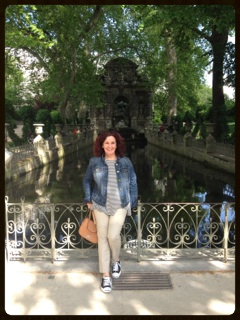 Please click here for our most recent newsletter “Finding Your Eternal Spring in Paris”. It features four exceptional people who have chosen Paris as the elegant and dynamic backdrop to reinvent themselves and live their dreams. Find it on Facebook too! Subscribe today under “Fantastique Links” in the top right-hand corner of this site. more and more do I realize that…I love Paris. Paris – “La Ville-Lumière”, (the city of light) and “la reine du monde” (the queen of the world). Perhaps you’ve already discovered her. Or, maybe this will be your first encounter- a journey you’ve been dreaming of taking for a long time. Paris for seniors.com will be your gentle guide –helping you make the most out of this remarkable city with invaluable information – carefully collected with your needs in mind. For, although you may be in the autumn or even winter years of your life, in Paris, you are sure to find your spring. Geneviève Spicer. Born to a French mother and a Canadian father, Genevieve is a bilingual voice over artist and multimedia producer with a specialty in creating programming and content for active seniors. She has lived in France, Japan, Indonesia and Canada and is known for her natural ability to navigate and adapt to new countries and cultures. Keith, with daughter, Geneviève and grand-daughter, Grace. Keith Spicer is a journalist and writer. He has lived in Paris ’s Left Bank for 18 years. Author of Paris Passions, and now, Murder By Champagne, he snagged the prestigious job of “senior adviser” to this site by being extremely old…and Geneviève’s dad. 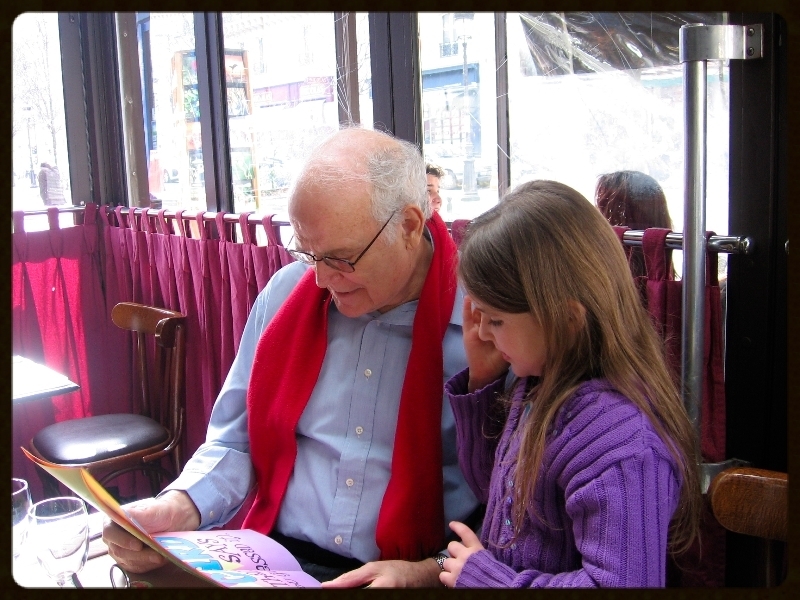 After his long career in newspapers, TV, government and media-telecom consulting, Keith writes books and takes his young granddaughter on cultural walks around Paris, visiting homes and museums of famous writers, artists and musicians. After each walk, the two of them give their impressions on their G & G (Gracie and Grandpa) blog on this site. Rationale: the best way for a senior to visit Paris is to see it through the eyes of a grandchild brighter than he or she is. PFS exists to take the bugs out of travel to Paris before you leave the comfort of home and to give you peace of mind while you are here. SAFETY & MOBILITY – Perhaps you, or a family member with mobility or health issues, are coming to Paris and getting around the city, in addition to healthcare and safety, are a concern. Keith Spicer, far left, and his daughter, Geneviève, far right, are the founders of PFS and are pictured here with the wonderful Cecilia and her husband on a special graduation trip for their 18 year-old daughter. 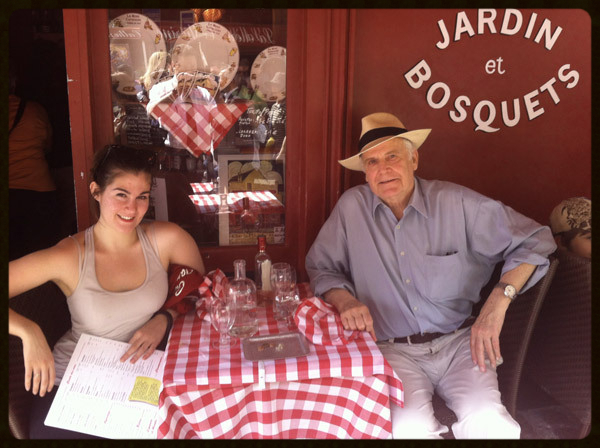 A LOCAL TRAVEL COMPANION – Maybe you are traveling on your own and you don’t speak a word of French and feel a bit nervous about navigating this busy cosmopolitan capital. 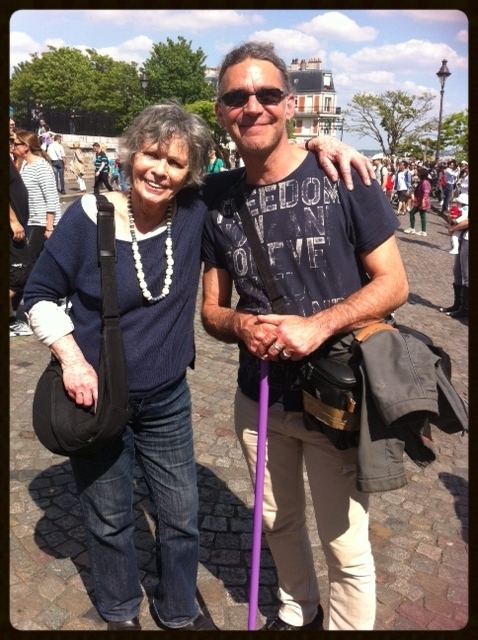 Elizabeth Robertson of Ottawa, Canada with PFS guide, Kirk, at Montmartre. A MILESTONE TRIP – Perhaps you’re planning a special milestone trip for yourself or a loved one and you want to organize something really extraordinary for them. Wayne and Venita of Ottawa, Canada – 50th wedding anniversary trip! 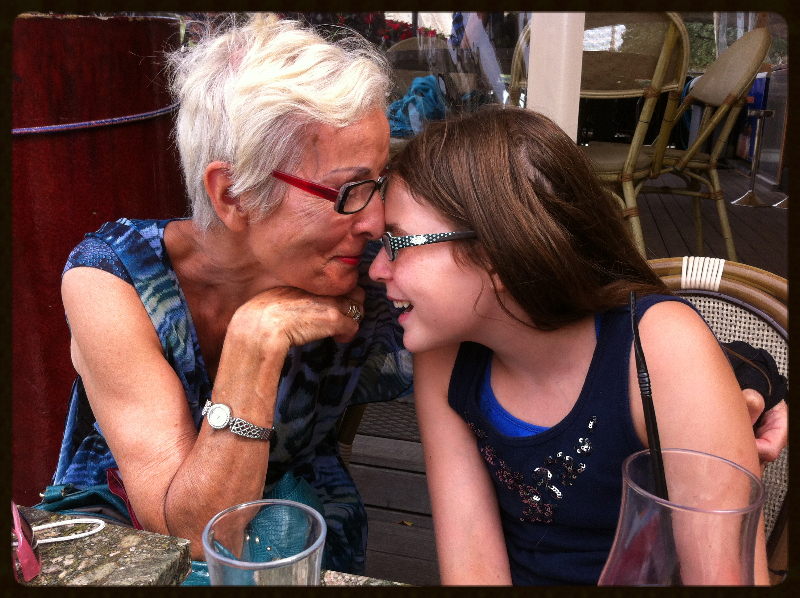 TRAVEL “EN-FAMILLE” – Maybe you’re dreaming about “grand-travel” (travel with your grand-children) or “multi-generational family travel but the very thought of managing the interests, physical capabilities and energy levels of different age groups is daunting. Good times with Grandmaman and Grandpa! This is where we come in. PFS core services include: “Mon Ami in Paris” trip planning and facilitation service which includes our “Help Me” – emergency liaison service. We also offer the “Promenade dans le 5ème” walking tour and special day-trip planning outside of Paris. PFS visitors also benefit from our special reduced-rate airport/train station transfer service. As a family-run business working with the best service providers in town, we pride ourselves on the special attention we offer all of our clients-including seniors and travelers with disabilities who need some extra TLC to make their trip special and secure. Our fully bilingual (English and French), Paris-based team specializes in customized, pre-trip consulting and planning and on-site orientation and facilitation. We also give private, go-at-your-own pace walking or wheel-chair assisted tours —not the kind where you struggle to keep up with a yellow or red flag and strain to hear your guide! If walking is not your favorite option, let one of our specially trained PFS drivers give you and your travel companions a private day or night “Top Ten” monuments tour of Paris, a day-trip to Giverney or Versailles or take you on a fun shopping trip. Our “PFS Prestige Tour” vehicles are new, clean and air-conditioned and our drivers have their professional designation as Chauffeurs de Voiture de Tourisme (official tourism drivers) which means they have special parking privileges which allow them to park and stop almost anywhere so that you can take pictures or break for lunch on a terrace. 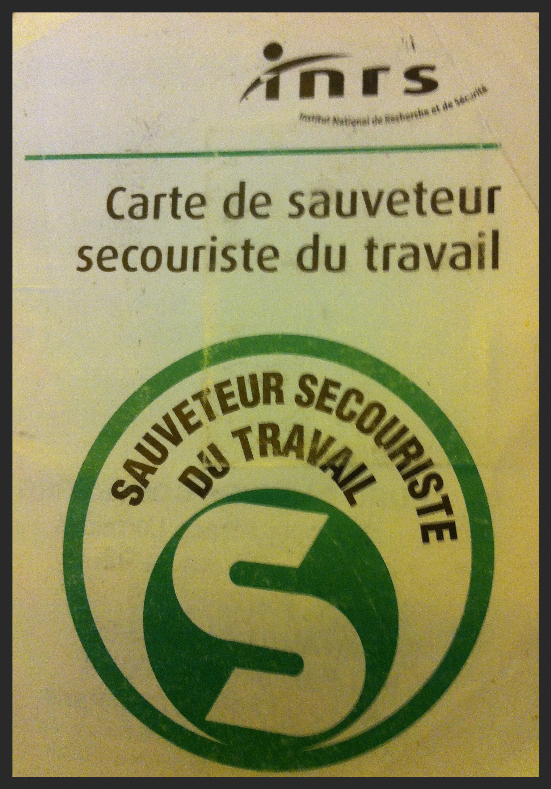 They also have their Sauveteur/Sécouriste card and are trained to handle potential emergency situations. 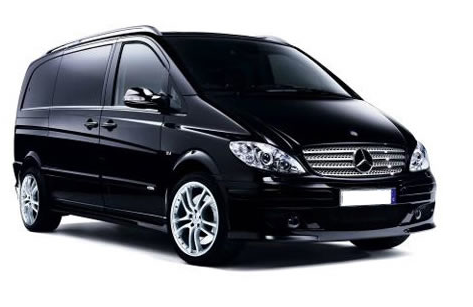 Our drivers also do airport transfers and will greet you at the airport with a PFS Prestige sign with your name on it. Please meet our special PFS contributors, Chuck and Marlene Kinsey of California. 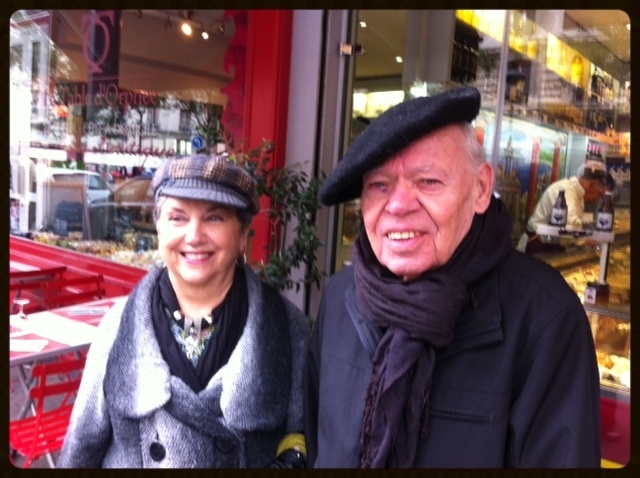 They have over 37 years experience of visiting Paris! PFS is very proud to have been selected “One of the Top 9 Niche Blogs about Paris” by Languages Abroad! 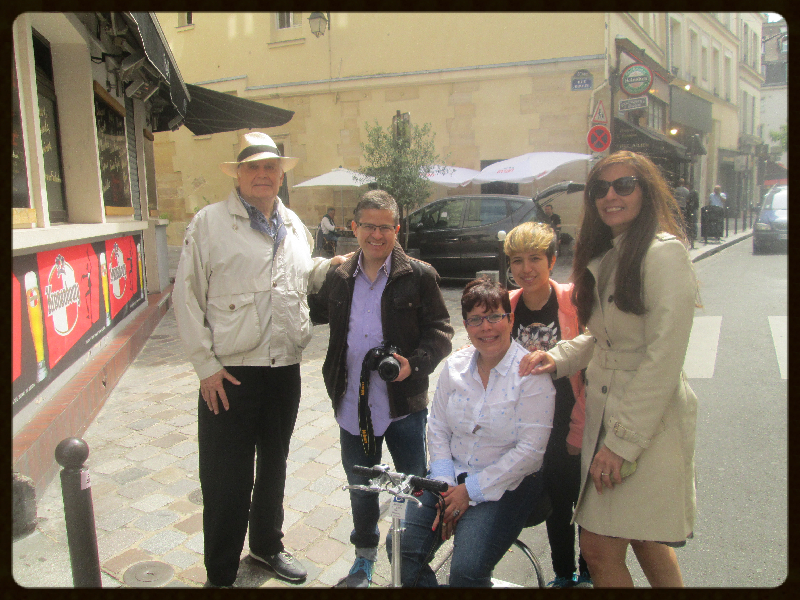 Here’s a warm welcome from Sandrine from the Office of the Mayor of Paris and other friends at the 2014 Salon des Seniors! Paris for Seniors was designed and created by Wavelength Media.